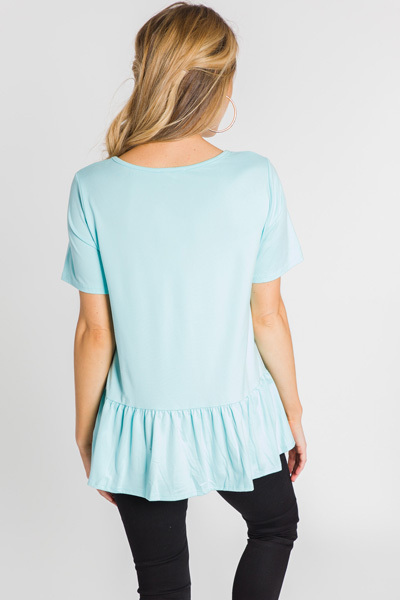 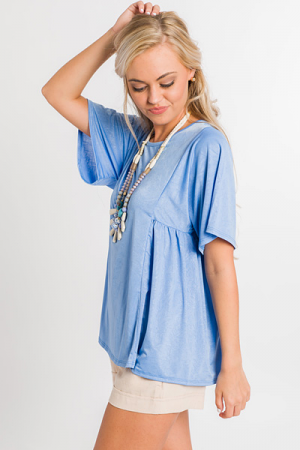 This simple tee is sure to be a spring go to! 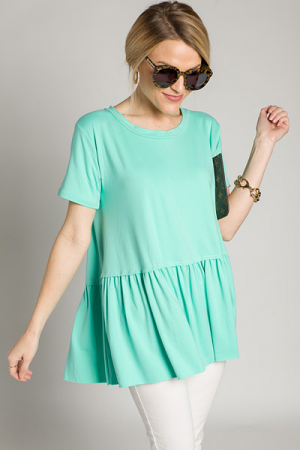 This one is creamy soft and has a double layered hemline. 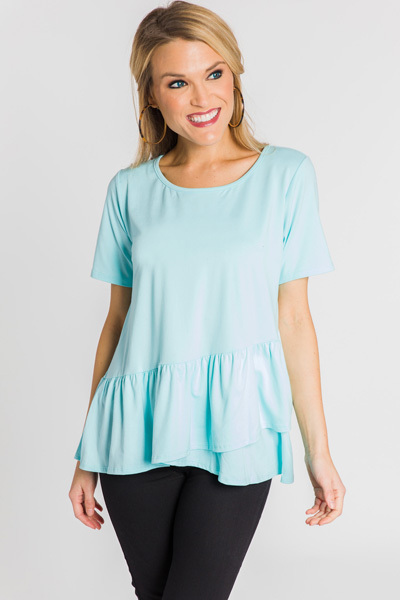 Plus, that gorgeous color is sure to land it in your "frequently worn rotation."